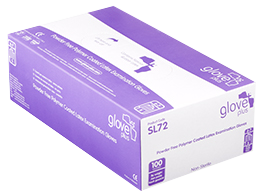 Glove Plus Powder Free latex gloves are recognised as a high quality, high performance latex glove designed for use in areas of medium to high risk and where contact with blood borne pathogens and minimal risk of chemical splash to the glove user. 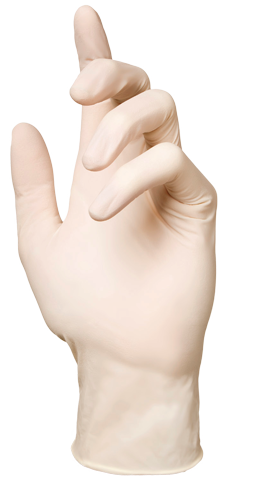 Powder free latex offers the glove user a glove that’s comfortable to wear, easy to don and is ideal for use in a wide range of applications. This superior level of barrier protection extends to the barrier permeation of viruses. Glove Plus Lightly Powdered latex gloves have been tested to, and passed, ISO 16044b:2003 “Resistance of Materials used in Protective Clothing to Penetration by Blood-Borne Pathogens” (viral testing). Powder free latex is manufactured to a watertight AQL of 0.65 for ‘pinholes’ which ensures a lower instance of tearing and product failure. The component materials in Glove Plus powder free latex comply with 27CFR 177. 2006 which means that these gloves are safe for use with food.